I hope you all are having a better start to your week than me! Over the weekend my phone started acting up so I ordered a new one from Verizon (it only took over an hour on the phone to do this). This morning I woke up to an email confirming shipment for the WRONG PHONE. Fantastic. So that’s going to put it off another week and a half. Then I went to pay rent here at Landfall Terrace. I knew they didn’t accept credit or debit cards. We ran out of checks and have some on order so we got cash out this weekend. They don’t accept cash either! 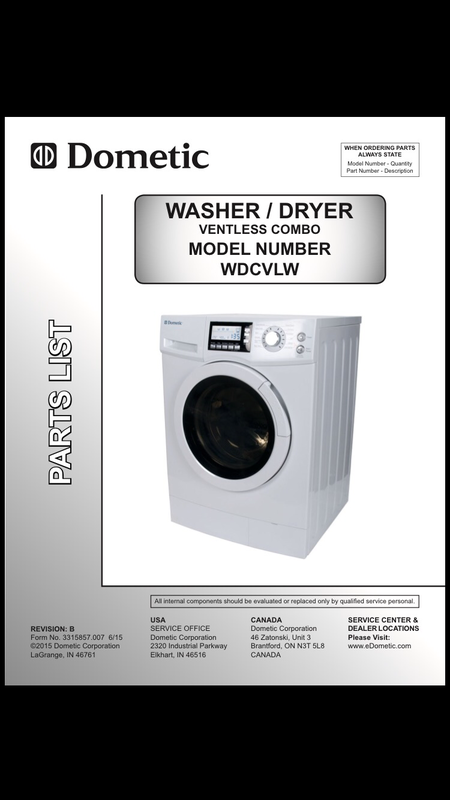 Also this weekend, our Dometic washer/dryer combo started throwing the E3A error code AGAIN. We had some extra thermistors from the last fiasco, so we replaced those and checked the voltage. Twice. Each time they would short out on the first cycle and the code would pop up again, leading us to conclude that it’s a bad heating element. So I just got off the phone with Jason, the mobile tech that fixed our schwintek slide last week and who is still coming out to do the heat pump this week. 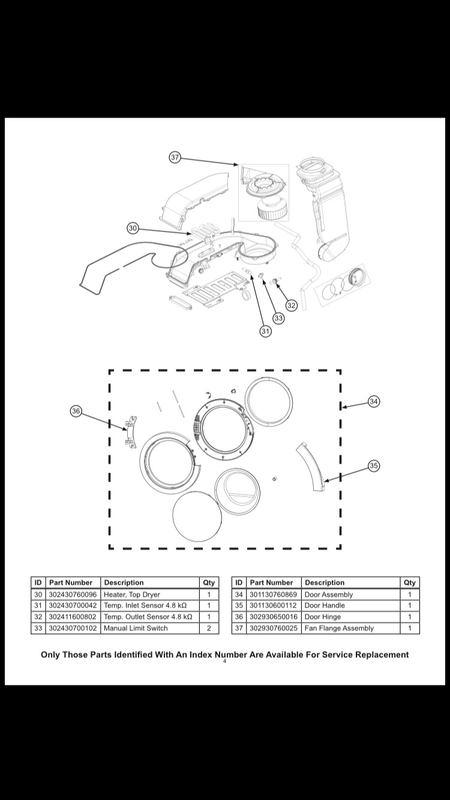 I’m going to see if he can order the part for us and possibly install it. We could do it ourselves, but Dometic doesn’t work well with consumers and I’d rather avoid that if possible. I’m waiting on him to call me back so I can give him the part number. We need part #30 this time. We have yet to actually go do any actual site seeing so far because every day that Allen is off, I feel like something is broken or needs fixing. But we may get a snow day or two this week, considering they were calling for 7+ inches of snow starting tomorrow the last time I checked! 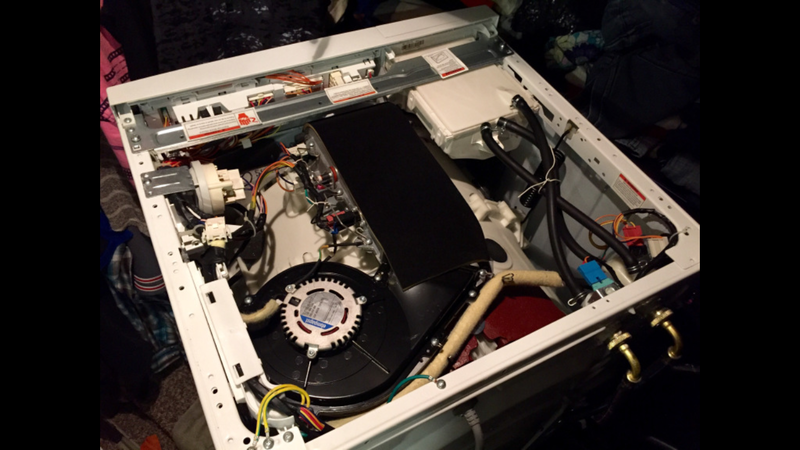 This entry was posted in 2015 Grand Design Momentum 385TH, Camper, DIY, Projects, RV and tagged Dometic, E3A, e3a error code, landfall terrace, verizon, washer dryer combo by Rachel Gillen. Bookmark the permalink. Wow you have had one bad start of a week . Sure hope it gets better . Will the park your staying at accept a money order ? If would help you until your checks come . Wanted to tell you I mailed two sunshine mails today . Hoping to brighten two little ones day . Take care and stay warm hope things get better for you . Thanks Kimberly! I love it that you are sending Sunshine Snail Mail now, it warms my heart! Wow; you are really having a rough time! I’m pretty amazed at how many problems you’ve been dealing with re: RV systems. What’s the saying… When it rains it pours!